The NBA and MeiGray are proud to offer fans and collectors across the globe the opportunity to own a piece of history... a pair of shorts worn by #24 Kobe Bryant of the Western Conference in the 65th NBA All-Star Game during the 1st Half of the Western Conference's 196-173 victory over the Eastern Conference on February 14, 2016 at Air Canada Centre. 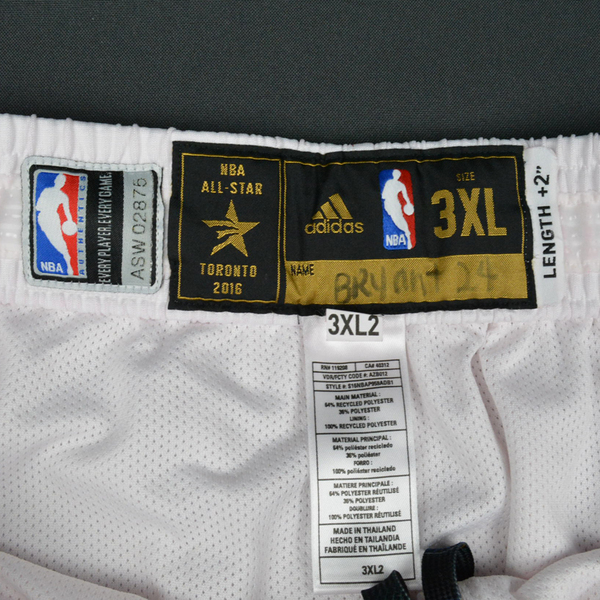 Bryant, of the Los Angeles Lakers, appearing in his final NBA All-Star Game, played 25 minutes and registered 10 points with 7 assists, 6 rebounds and 1 steal. His 18 All-Star Game selections are second only to Kareem Abdul-Jabbar's 19. 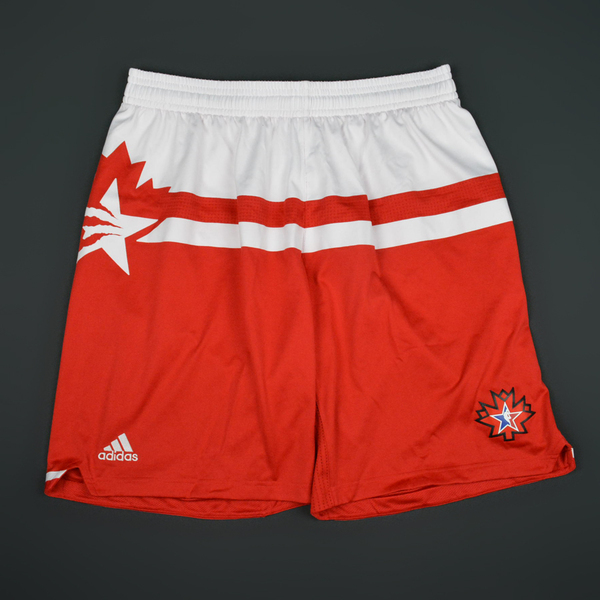 This red and white pair of shorts, a Size 3XL+2 inches extra length, is registered into the NBA and MeiGray Game-Worn Jersey Authentication Program as number ASW02875. 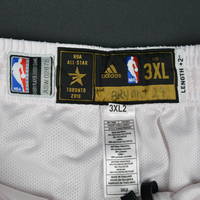 The player's last name and jersey number is handwritten on the jock tag.